Do you want to keep in touch with your family members and friends ? If you love your friends and family members and want to keep in touch with them, this article can tell you some very useful apps. In the article, you can view a list of useful apps for your iPhone and iPad which can help you keep in touch with your favourite friends for personal or professional purpose. Check out these useful social apps. 1. WhatsApp Messenger ( iPhone ) – One of the best messengers for smartphones that let users keep in touch with their friends. The app offers very useful service free of charge. With this app, you can send and receive messages, photos, videos, audio notes and video messages free of charge. Very useful app that allows you to chat with your friends and family members , exchange contacts, share locations and places, email your chat history and access many other useful features free of cost. The app includes tons of features such as group chatting, multimedia sharing , offline messages, video picker , powerful voice messaging and many other features. One of the best iOS apps to keep in touch with your friends and family members. 2. 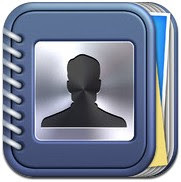 Contacts Journal CRM ( iPhone ) – Featured rich tool that comes with some useful and unique features which can help you manage business and personal relationships easily on your iPhone. One of the best contact management apps and it is very useful for small business owners , sales teams , contractors , teachers, portfolio managers, lawyers, real-estate agents, nurses etc. Very useful app that has many features such as- contact importing function from contact app, private contact & group creation option for personal contacts, documents attachment feature to your contact , alerts and appointments , dropbox for data transferring and calling, messaging & email sending option for your contacts directly from the app. Very useful and powerful app for iPhone users. 3. 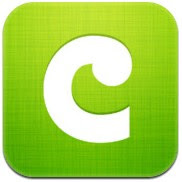 Coco Voice ( iPhone & iPad ) – Beautifully designed free smartphone messenger that comes with public voice chat rooms. One of the easiest ways to send voice messages instantly to your friends. The app helps you send voice, text and photo messages to your friends and family members quickly from your iPhone and iPad. The app is totally free with no annoying ads and has very nice user interface that lets you keep in touch with your friends. The app includes some useful features such as group chatting, one click Facebook sign-in , publishing your voice on twitter, meeting new people nearby or worldwide and quick voice, text and photo messaging. 4. 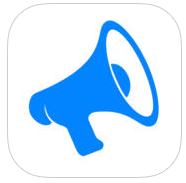 Everypost For Social Media( iPhone ) – Everypost For Social Media iOS app is a great social media publishing tool that allows you to share your content to all of your social accounts from a single dashboard. The app helps users to manage and post content to almost all of popular social media sites like Facebook, Google Plus, Twitter, Linkedin , Tumblr and many others. If you have lots of social accounts in various social sites and want to manage all of them from a single place, you can try this awesome app. With the help of this social publishing tool, you can also share photos and videos to these social networks. Very useful app for iPhone users. 5. 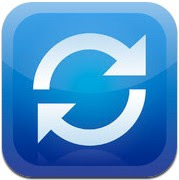 Sync.ME for Facebook, LinkedIn & Google+ ( iPhone ) – One of the best social apps that allow you to see your friends activities with latest updates , view friends’ contact information including phone number, picture, job title, company, email, address & website and receive birthday reminders your friends’ birthdays. Very useful app that automatically updates your contact when any of your friends changes his/her phone number ,job title or email. Great app for iPhone users. 6. 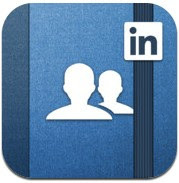 LinkedIn Contacts ( iPhone & iPhone ) – If you have lots of friends in your Linkedin account, you can try official app of Linkedin professional network. Very useful app that lets you access all of Linkedin features easily from your iOS device. 7. 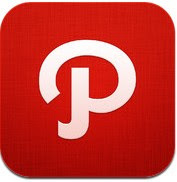 Path ( iPhone & iPad ) – Path is an official app of personal social networking site Path.com that helps you keep in touch with your family members and friends. The app allows you to share photos, videos, music etc with your friends, comment and send messages to your friends, import photos and other info from Facebook, Instagram and Foursquare and access many useful social features. One of the best social apps to keep in touch with your close friends.